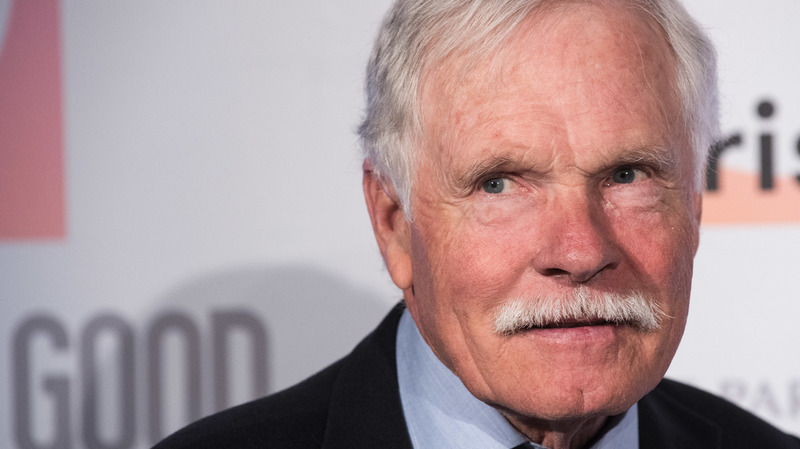 Ted Turner Opens Up About Having Lewy Body Dementia On Sunday morning, CBS aired an interview with the CNN founder, who told Ted Koppel about his struggle with a disease he could describe but wryly struggled to name. Seen here in 2015, Ted Turner spoke on CBS Sunday Morning about his diagnosis of Lewy body dementia. He acknowledged that in addition to memory difficulties, it causes exhaustion. In fact, as he noted with a tinge of humor, he wasn't able to bring the name of the disease to mind even as he was talking about how it affected him. Turner is still active, however: He was seen not only practicing yoga but continuing to wander his immense Montana ranch on horseback. According to the National Institutes of Health, Lewy body dementia is caused by protein deposits in the brain — named "Lewy bodies" after the neurologist who discovered them. The deposits cause changes in brain chemistry that disrupt thinking and behavior as well as movement. The disease also reportedly affected actor Robin Williams prior to his death in 2014.